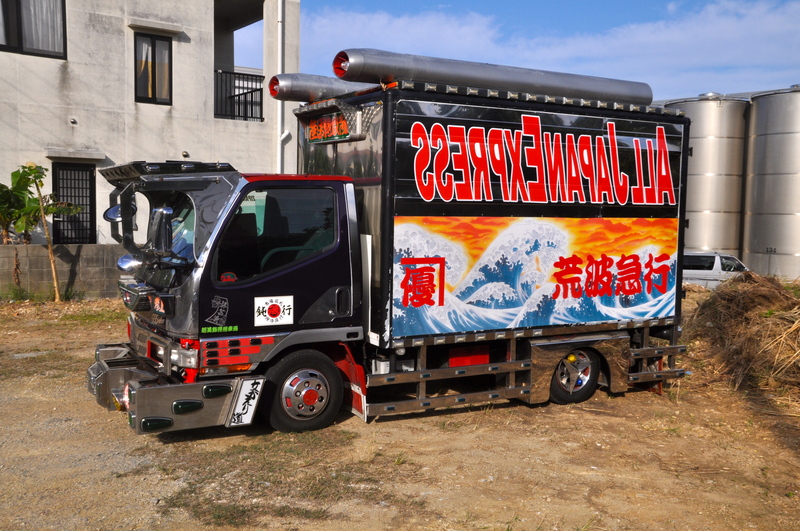 Trucks in Okinawa are highly decorated. Loads of chrome and individual styling. I found this one parked just by house. In Japan, some people decorate their wheel chairs. Some of them are so showy that they get stopped by police. 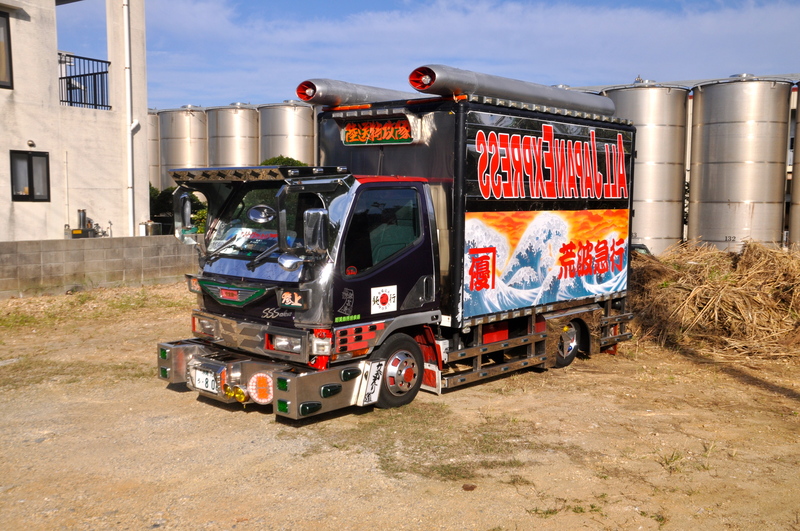 I have not seen decorated wheel chairs in Okinawa, but I have a feeling that I can find them soon. If you can find a decorated wheelchair I will definitely blog about it. Thanks for your comment. That’s priceless, getting pulled over by the police for overdecoration of wheelchair. I wonder if they have wing mirrors and klaxons like a sort of Quadrophenia mod Lambretta.